In preparation for the simpler monad client API, ProjectM36.Client now includes a server-side merge for new transactions called “automerge”. This feature should reduce head contention in cases where new transactions can be simply merged to the head without additional processing. The trade-off is reduced TransactionIsNotAHeadErrors but an increased chance of merge errors. The feature operates similarly to a server-side git rebase. Successfully merged transactions did not have their constraints validated. Fixed. This feature allows Project:M36 database directories to be shared amongst multiple Project:M36 processes. This is similar to how SQLite operates except that the remote server mode supports the feature as well. This could allow, for example, multi-master, file-based replication across Windows shares or NFS. Date demonstrates two ways to implement functional dependencies as constraints on page 21 in “Database Design and Relational Theory”. 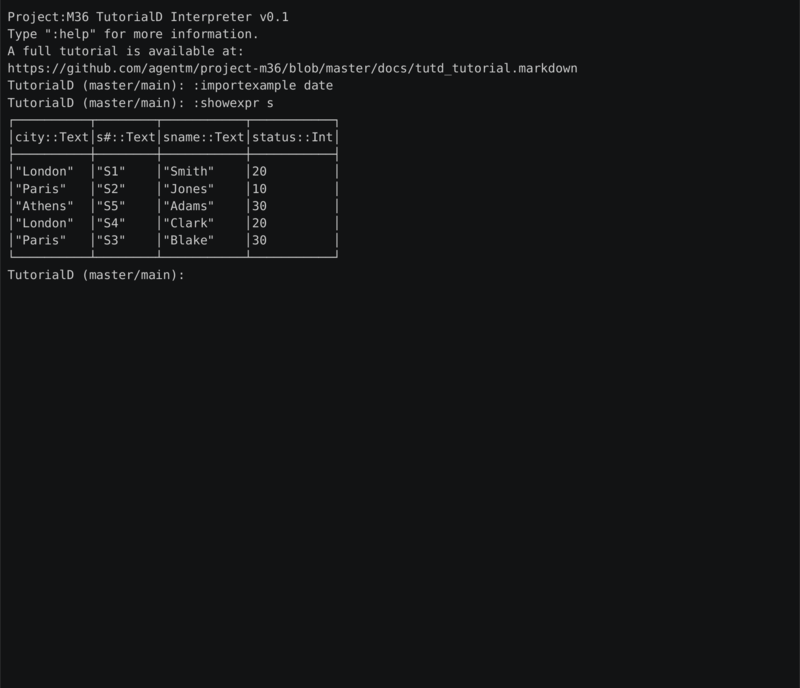 A similar macros is now implemented in the tutd interpreter. The TransGraphRelationalExpr allows queries against all past states of the database.